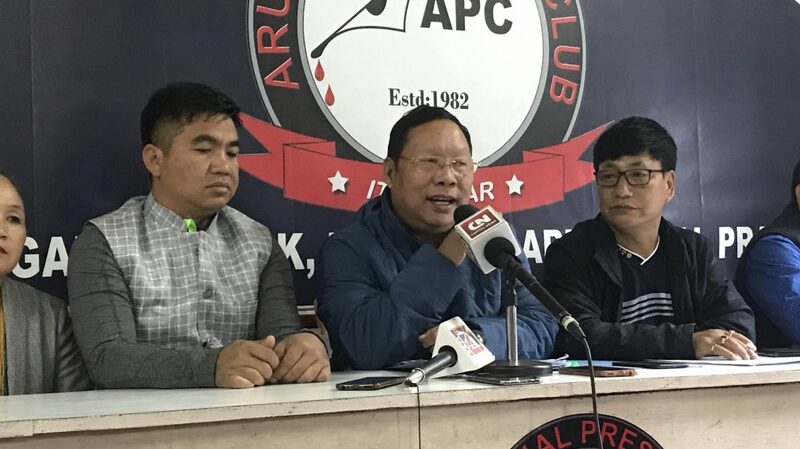 The Arunachal Pradesh Congress Committee (APCC) is all set to carry out peaceful demonstrations and protest rallies across the State on Thursday against the contentious Citizenship (Amendment) Bill, 2016. The Bill, which was passed in the Lok Sabha on January 8, is yet to get Rajya Sabha nod. Arunachal Congress leader Toko added, the Bill will be a free license provided by the government to the refugees, foreigners and illegal migrants (irrespective of which religion they belong to) to live in the country and it is also against the secular and democratic fabric and principle of the nation, especially that of the indigenous people of Northeast region. Meanwhile, the Arunachal Congress has appealed to all the organizations, civil societies, government employees, youths and senior citizens of the state to join the protest and “save the state from this massive crisis”. The Citizenship (Amendment) Bill, 2016 was introduced in Lok Sabha on July 19, 2016 to amend the Citizenship Act, 1955. It seeks to make the illegal migrants belonging to the Hindu, Sikh, Buddhist, Jain, Parsi and Christian communities from Afghanistan, Bangladesh and Pakistan eligible for citizenship in the country.